Aww man..do I even need to explain the origins of this cocktail? 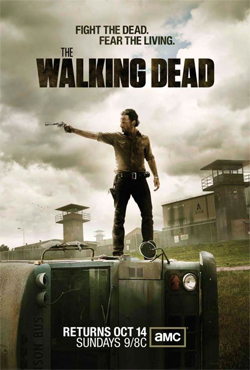 Let alone the significance and the fact that the THIRD season of "The Walking Dead" comes back on Sunday, October 14th? Well, if you said yes to any of this, that means you are all the way out of the loop! Seriously! You need to get your entertainment checked out! Anyway, let's forget the small diatribe and get to the drink, shall we? Now, you see that? There is no way you are going to walk anywhere if you even drink 1/4 of that! LOL. Peep the video. Oh yeah, and check out my lil Amazon joint under the video to where you can actually purchase some previous seasons of "The Walking Dead"!